If you have never used the NRICH Number Plumber before, click here to watch a short introductory video. Click on the image below to investigate the two functions and their graphs. Try using the same input number for both functions. What do you notice? Look at the steps which make up the functions. How are the two functions related? How are their graphs related? If you have met the idea of expressing a function in the form f(x) , try to write one function in terms of the other. Experiment with other pairs of functions linked in the same way. Click on the image below to investigate two more functions and their graphs. Try to find pairs of input numbers so that both machines give the same output. What do you notice? If you have met the idea of expressing a function in the form f(x), try to write one function in terms of the other. Quadratic functions. Mathematical reasoning & proof. 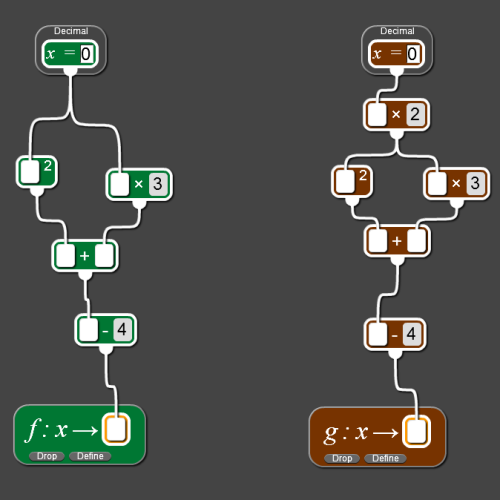 Graph plotters. Graphs. 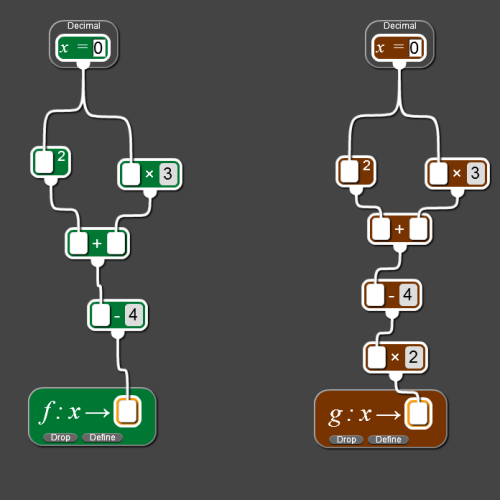 Cubic functions. Graph sketching. Biology. Transformation of functions. Inequalities. Maximise/minimise/optimise.